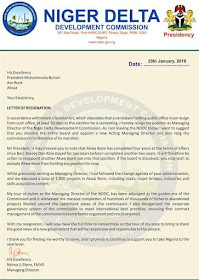 PLOTS TO STAIN ISIMA EKERE WITH FAKE RESIGNATION LETTER EXPOSED | Welcome to Dare Lasisi's blog! Nsima Ekere, Akwa Ibom gorvernorhip candidate APC. 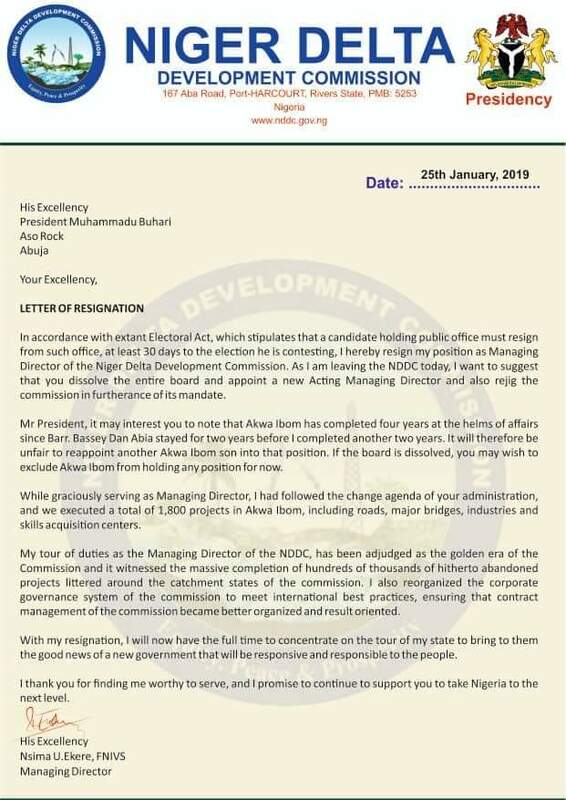 Fresh facts have emerged on a purported fake resignation letter in the circulation, said to have been signed by the former Managing Director, Niger Delta Development Commission (NDDC), Obong Isima Ekere. 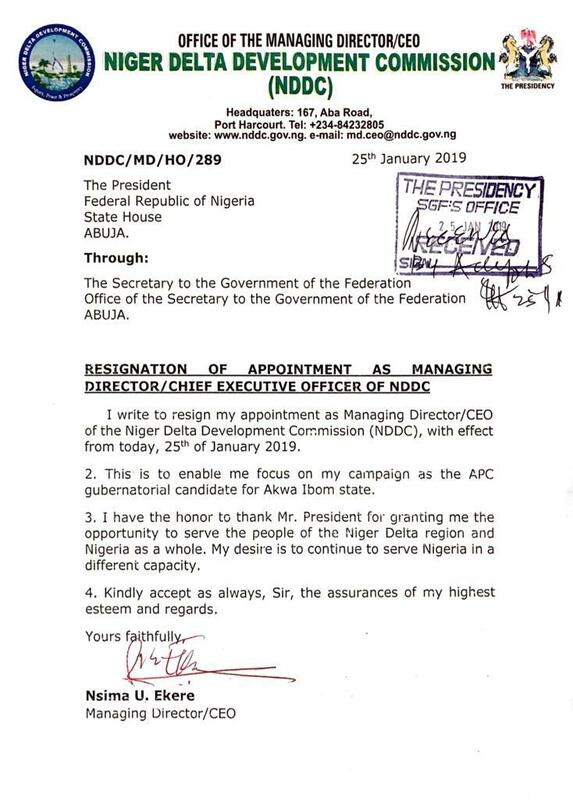 In the said letter, Ekere was said to had advised the Presidency not to appoint another MD for the commission from Akwa Ibom state, since the zone has served for four years. The fake letterit, it was exclusively gathered that the fake letter was noting but handwork of aome unscruptulous elements to malign the person of Isima Ekere. As the authentic letter made available to our correspondent showed no such statement. The authentic letterEkere, the governoship candidate of the All Progressives Congress (APC), resigned his appointment as MD of NDDC to focus on his campaign.